As the commercial capital of the Netherlands and one of the top financial centres in Europe, Amsterdam is considered an alpha world city by the Globalization and World Cities (GaWC) study group. The city is also the cultural capital of the Netherlands.Many large Dutch institutions have their headquarters there, and seven of the world’s 500 largest companies, including Philips and ING, are based in the city. 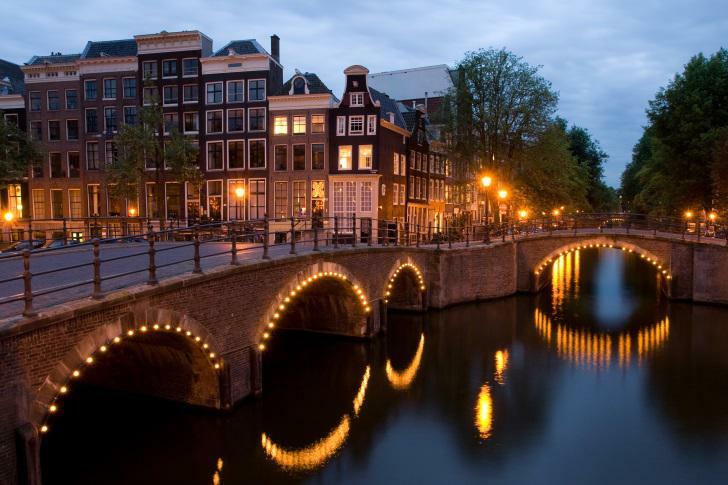 In 2012, Amsterdam was ranked the second best city in which to live by the Economist Intelligence Unit (EIU)  and 12th globally on quality of living by Mercer. The city was previously ranked 3rd in innovation by 2thinknow in the Innovation Cities Index 2009. At the beginning of the new millennium, social problems such as safety, ethnic discrimination and segregation between religious and social groups began to develop. Forty-five percent of the population of Amsterdam has non-Dutch parents. Large social groups come from Suriname, the Dutch Antilles, Morocco and Turkey. Amsterdam is characterized by its (perceived) social tolerance and diversity. The former mayor of Amsterdam, Job Cohen, and his alderman for integration Ahmed Aboutaleb (Now mayor of Rotterdam) formulated a policy of “keeping things together” which involves social dialogue, tolerance and harsh measures against those who break the law. Amsterdam is one of the most bicycle-friendly large cities in the world and is a centre of bicycle culture with good facilities for cyclists such as bike paths and bike racks, and several guarded bike storage garages (fietsenstalling) which can be used for a nominal fee. In 2013, there were about 1,200,000 bicycles in Amsterdam outnumbering the amount of citizens in the city. Theft is widespread – in 2011, about 83,000 bicycles were stolen in Amsterdam. Bicycles are used by all socio-economic groups because of their convenience, Amsterdam’s small size, the 400 kilometres (249 miles) of bike paths, the flat terrain, and the arguable inconvenience of driving an automobile. In 2008, there were 140 festivals and events in Amsterdam. Famous festivals and events in Amsterdam include: Koninginnedag (In 2013 Koningsdag since the crowning of king Willem-Alexander) (Queen’s Day – King’s Day); the Holland Festival for the performing arts; the yearly Prinsengrachtconcert (classical concerto on the Prinsen canal) in August; the ‘Stille Omgang‘ (a silent Roman Catholic evening procession held every March); Amsterdam Gay Pride; The Cannabis Cup; and the Uitmarkt. On Koninginnedag—that was held each year on 30 April—hundreds of thousands of people travel to Amsterdam to celebrate with the city’s residents and Koningsdag is held on the 27th of April. The entire city becomes overcrowded with people buying products from the freemarket, or visiting one of the many music concerts. The yearly Holland Festival attracts international artists and visitors from all over Europe. The annual Uitmarkt is a three-day cultural event at the start of the cultural season in late August. It offers previews of many different artists, such as musicians and poets, who perform on podia. Unlike most other Dutch municipalities, Amsterdam is subdivided into eight boroughs, calledstadsdelen or ‘districts’, a system that was implemented gradually in the 1980s to improve local governance. The boroughs are responsible for many activities that had previously been run by the central city. In 2010, the number of Amsterdam boroughs reached fifteen. Fourteen of those had their own district council (deelraad), elected by a popular vote. The fifteenth,Westpoort, covers the harbour of Amsterdam and had very few residents. Therefore, it was governed by the central municipal council. Under the borough system, municipal decisions are made at borough level, except for those affairs pertaining to the whole city such as major infrastructure projects, which are the jurisdiction of the central municipal authorities. In 2010, the borough system was restructured, in which many smaller boroughs merged into larger boroughs. In 2014, under a reform of the Dutch Municipalities Act, the Amsterdam boroughslost much of their autonomous status, as their district councils were abolished. The municipal council of Amsterdam voted to maintain the borough system by replacing the district councils with smaller, but still directly elected district committees (bestuurscommissies). Under a municipal ordinance, the new district committees were granted responsibilities through delegation of regulatory and executive powers by the central municipal council.